AVAILABLE FOR PURCHASE ONLINE OR VISIT US TODAY! Qi (Chee) is the energy that is vital to life, and has been used by Acupuncturists for over 3,000 years to restore health. By activating Qi meridian pathways, the body can be balanced and repaired. By activating Qi around the face using our clinically trailed acu-points, not only is skin repaired but volume is restored to lift and define the entire face, much like a cosmetic facelift treatment. The Art of Qi is the focus of every Qi beauty treatment, offering an acupuncture based philosophy with needle free cosmetic protocols, designed to address skin conditions naturally. 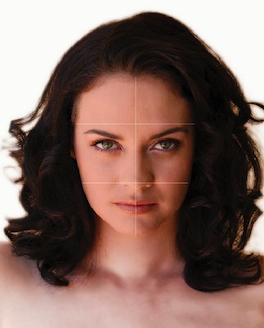 Qi beauty treatments include: Beauty lift, lip lift, eye lift, neck repair, décolletage and detoxification. Qi beauty is offering a new dimension in natural and organic age control at the hands of professionals committed to natural therapies and is available for purchase both online and in-house at Dianna Porter Acupuncture. Qi Beauty Treatments and Qi Beauty Home Care Kits are available in our online store (coming soon) and are designed to restore Qi to energise skin so that it looks alive, fresh, healthy, clear and smooth. Volume is restored, lines are reduced and elasticity is improved within the first six weeks and continued use has the anti-ageing benefits for as long as you maintain Qi. What causes low Skin Qi? Stress, illness, smoking, sun damage, cosmetic contaminants, poor diet, environmental toxins and invasive beauty treatments result in low skin Qi. Low skin Qi speeds the ageing process and can contribute to skin conditions such as broken capillaries, fine lines, sensitive skin, breakouts and dehydrated skin. How do I activate my skin Qi? You can activate your skin Qi at home by using the Qi Beauty patch systems or by visiting Dianna Porter Acupuncture’s treatment rooms today to experience the Qi Beauty products. The choice to restore health and vitality to your skin has never been easier. Based on the knowledge that skin cells require energy to regenerate, Qi beauty developed a way for men and women to energise skin cells throughout the skin renewal process occurring anywhere between 41-60 days. As cells are replaced by new cells in the memory of healthier more energetic cell following the Home Kit protocols. The Patch Systems offer continuous Qi stimulation to assist in skin regeneration. There are many elements that impact skin and the signs of ageing. From environmental to emotional variables affect the response to ageing and change the appearance of skin. Stress, illness, smoking, sun damage, cosmetic contaminants, poor diet, environmental toxins and invasive beauty treatments can result in low skin Qi. Low skin Qi reveals signs of ageing and can affect skin conditions such as broken capillaries, fine lines, sensitive skin, breakouts and dehydrated skin. 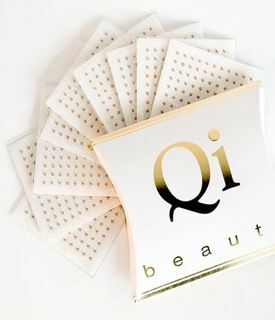 The Qi beauty Home Kit Patch System is the essential beauty tool to ignite Qi, encourage repair and sustainable beauty. Science tells us that cellular activity slows as we age. The same applies to skin cells as part of the monthly renewal process. All skin cells replace themselves in the memory of the previous cell, at 40 cells will be replaced in the memory of a 40 year old cell. Qi beauty provides women with the tools to stimulate cells to behave as healthier, more energetic cells. When you use the Qi beauty Home Kit skin can be maintained in a healthy, vibrant condition for sustainable beauty. The Signature Qi beauty Facial Treatment…. The Qi beauty Facial Treatment works to restore Qi, achieving beauty from the inside out. Not only will you notice an improvement in the condition and appearance of your skin after your Facial Treatment, but you will also feel amazing. This luxurious and relaxing treatment is the ultimate in anti-ageing facials and is supported by in house clinical trials documenting results and testimonials from patients and practitioners. Your Qi beauty therapist will assess your skin before designing a personalised face matrix to activate Qi and assist in the transition of natural anti-ageing compounds from deep skin layers to the surface, to correct Qi deficiencies for volume and lift. During your facial, 1000 Qi micro-magnets will be placed gently on clinically tested meridians over the face to reconnect Qi. The micro magnets have been specifically designed for skin pH compatibility and will be positioned according to your personalised face matrix. 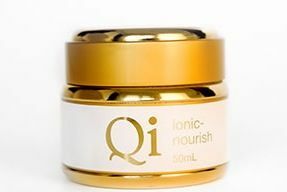 Whilst your skin is being stimulated, Qi beauty formulations of ionic gels, creams and serums are applied in sequence to deliver a luxurious facial with instant results and no recovery time. Facials last between 60-90 minutes, after Qi is activated you can maintain the results with the Qi beauty home kits available online. The Qi beauty facial focuses on areas that reveal signs of ageing and premature ageing. Your Qi beauty facial will be adapted after each treatment as your skin continues to change, this will ensure areas of concern to both you and your Qi beauty therapist are addressed. See results of the Qi beauty Facial. Qi beauty Facial Treatment offers both results and relaxation. It is the answer to natural, sustainable beauty. Qi Beauty International, Natural and Organic Australian made skin care and 100% Natural Age-Control. 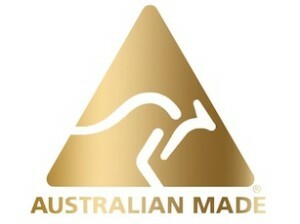 Guaranteeing results and sustainable beauty for Women around the world.